Waterproof rear panniers equipped with our patented Cam-Lock® mounting system. Arkel waterproof panniers ORCA 45 equipped with their patented Cam-Lock® mounting system. Welded seam technology ensures that the bag will stay dry no matter the conditions you ride in and our patented Cam-Lock® mounting system will keep the bags on the rack, whatever the load and whatever the road conditions. No one else offers such a solid and reliable mounting system for bike panniers. Many smaller details make this bag unique, an internal organizer for easy access to documents, maps, tablet, wallet, etc. This means you won’t have to empty half the bag to reach these. A plastic protector at the bottom backside of the pannier adds protection between the bag and the rack and will avoid any premature wear caused by friction against the rack. 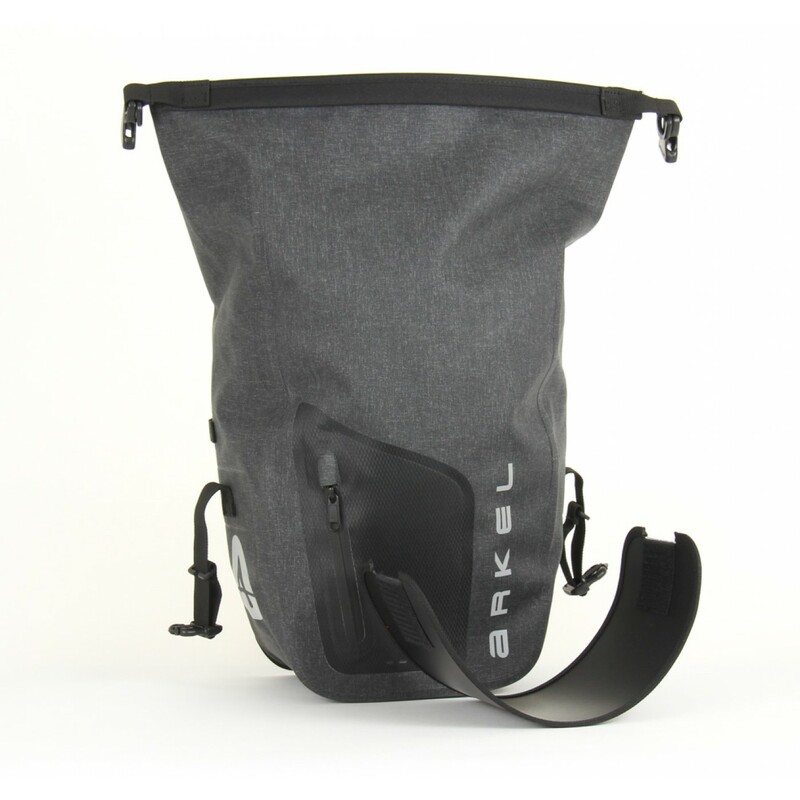 Orca panniers also feature D-rings for an optional shoulder strap. This is very practical when travelling at the airport or simply carrying your panniers around at the end of a long ride. Many small details make these panniers functional, durable and most importantly fun to use. · Fully Waterproof RF welded seams. · Patented Cam-Lock® mounting system. · Front exterior zippered pocket. · Tabs to mount blinker lights. · Reflective material on all sides.